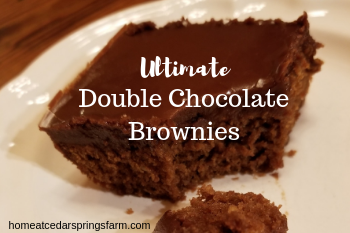 Ultimate Double Chocolate Brownies are for the serious chocolate lover. They are rich and chocolatey and will be the only brownies you will bake from now on. I have been on a sweet kick lately, and I want to eat sweets! Maybe its because I’m on a diet and I want to eat everything in sight!!! I started out on my diet with the mindset that I would not eat any sweets. Well… that worked for about the first week and then – well– here we are discussing Ultimate Double Chocolate Brownies. I’ve had this recipe in the drawer in my kitchen for several years. I got this recipe from a friend, and I have used it many times. This is the best brownie recipe by far, and they always turn out fantastic. 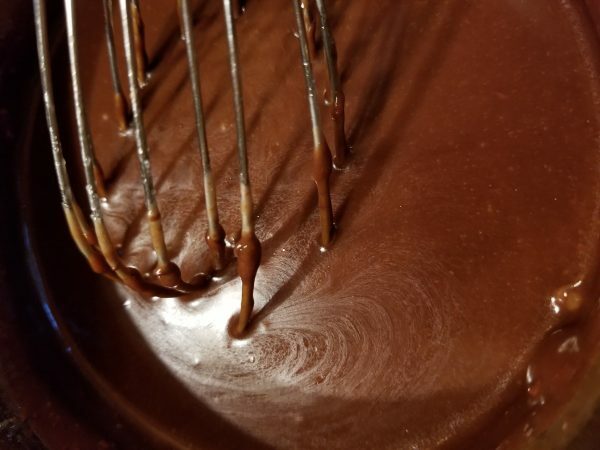 This recipe gets a gold star, and the brownies are requested for the annual bake sale we have in our community. My friend makes several pans of brownies and they always sell out long before the night is over. These brownies are simply to die for. 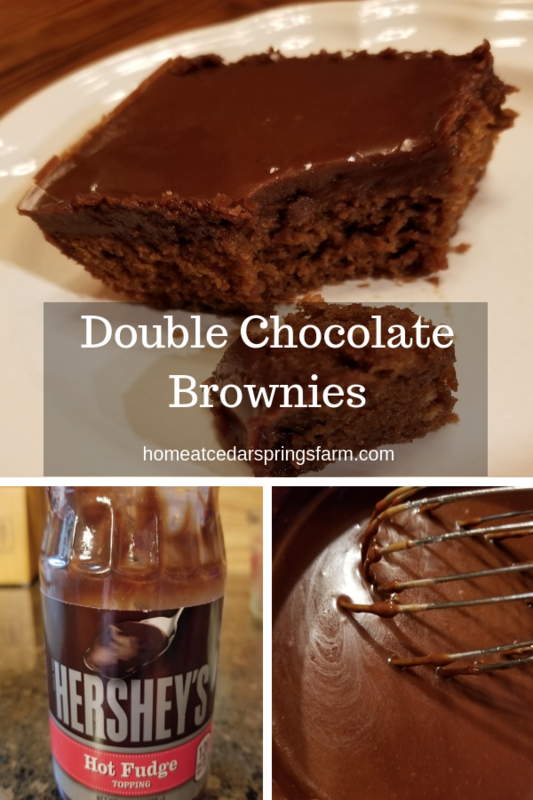 They are moist, delicious, chocolatey and they are super easy to make. I made these one Saturday afternoon, and they were all gone by Sunday afternoon. And, no, I did not eat all of them by myself. But, I could have!! Don’t judge!! These Ultimate Double Chocolate Brownies are made with a jar of Hershey’s Chocolate. Yes, the whole jar! Can you see now why these brownies are the best? Some of the links on this page are affiliate links. 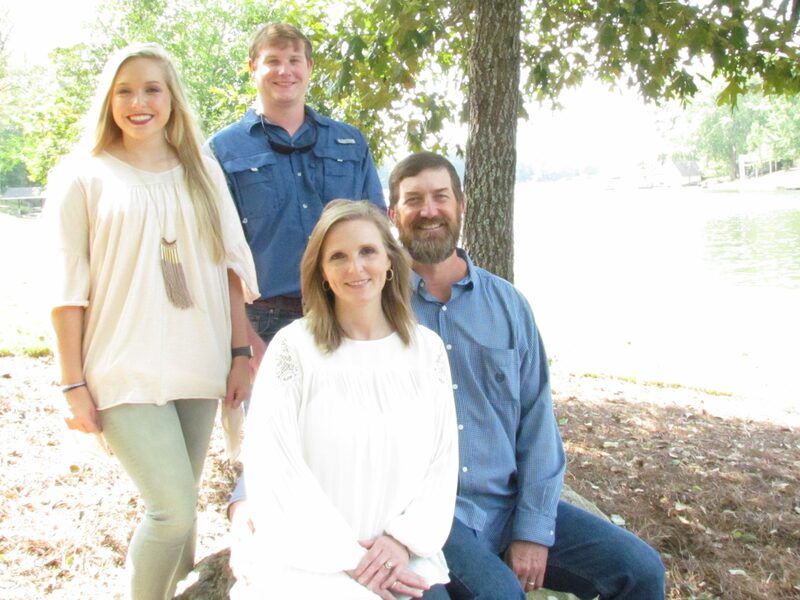 Home at Cedar Springs Farm may earn a small commission for purchases made after clicking links on this page at no cost to you! Learn More. 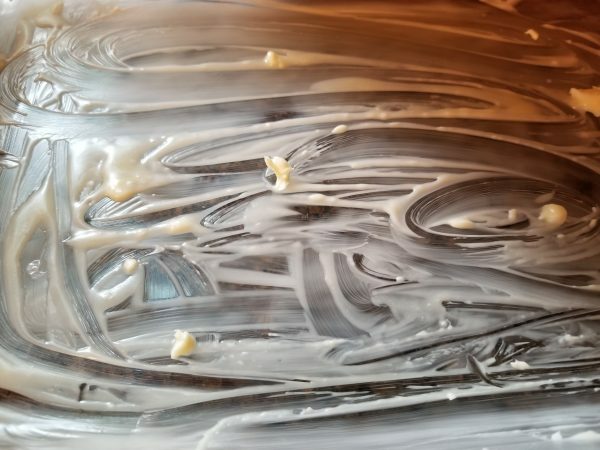 Grease a casserole pan with 2 Tablespoons butter. Mix all brownie batter ingredients together. Pour into greased casserole pan and bake at 350 degrees for about 35 minutes. Do not overcook. Toothpick inserted will be a little wet after 35 minutes. Boil together sugar, butter, and milk for 3 minutes. Pour over warm brownies. Let cool. I like to keep these in the refrigerator so the icing won't get soft. Plus, I like them cold. Yum! These look seriously delicious! You have to try this recipe! They are so easy to make and soooo worth it! You will never make the boxed stuff again! Well my mouth is watering! Definitely saving this one! Hope you try it! Enjoy! These look so good. I have never attempted to make homemade brownies before but I may have to give it a shot and see what happens. You can do it! These are so easy to make and so worth the time and effort! This look great!!! Anything with Double Chocolate has to be good!! My nickname on my track team was Hershey because I love it so much. These look like the perfect brownies!! Definitely going on my list to try! 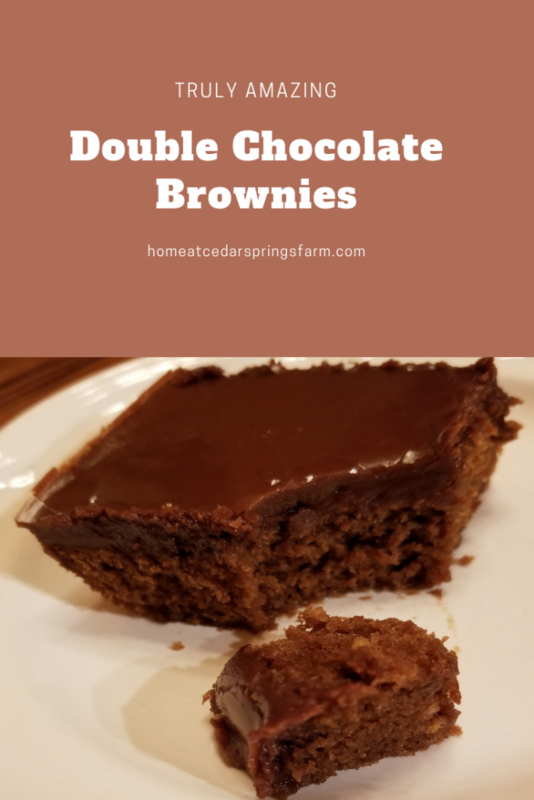 If you love Hershey Chocolate, you will love these brownies! These look so delicious! I’m gonna try to make these this week. These look delicious! They look so decadent! Yes, it’s hard to diet when you have brownies in the house. 🙂 Everyone needs a cheat day. It’s another rainy day in our area. These look like the perfect rainy day treat! Yummy! This is not the first time I’ve visited your blog and felt my mouth watering! I do love chocolate desserts, and so does my hubby. I bet he would love this one! The brownies are the best! Thanks for checking out the recipes.